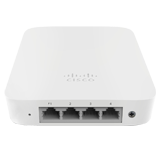 The Cisco Meraki MR30H is a quad-radio, cloud-managed 2×2:2 802.11ac Wave 2 wall switch access point with MU-MIMO support. Designed for next-generation deployments in hotel rooms, university residences, and other multi-dwelling units, the MR30H provides performance, enterprise-grade security, and simple management. 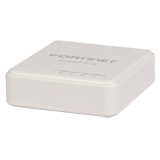 The MR30H provides a maximum 1.3 Gbps* aggregate frame rate with concurrent 2.4 GHz and 5 GHz radios. A dedicated third radio provides real-time WIDS/WIPS with automated RF optimization. Four ethernet ports on the wall switch allow easy connectivity of external wired devices. An integrated Bluetooth Low Energy (BLE) radio delivers beacon and scanning capabilities. 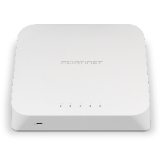 The combination of cloud management, 802.11ac Wave 2, full-time RF environment scanning, a wall switch, and integrated Bluetooth technology delivers the throughput, reliability, convenience and flexibility required by demanding multi-dwelling use cases. 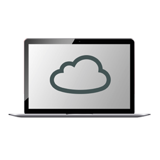 The MR30H is managed through the Meraki cloud, with an intuitive browser-based interface that enables rapid deployment without training or certifications. Since the MR30H is self-configuring and managed over the web, it can even be deployed at a remote location without on-site IT staff. The MR30H is monitored 24×7 via the Meraki cloud, which delivers real-time alerts if the network encounters problems. Remote diagnostics tools enable real-time troubleshooting over the web, meaning multi-site, distributed networks can be managed remotely. The MR30H’s firmware is always kept up to date from the cloud. New features, bug fixes, and enhancements are delivered seamlessly over the web, meaning no manual software updates to download or missing security patches to worry about.